At the North American International Auto Show in Detroit, USA, Volkswagen has an impressive study vehicle on display: the Advanced Activity Concept (AAC). 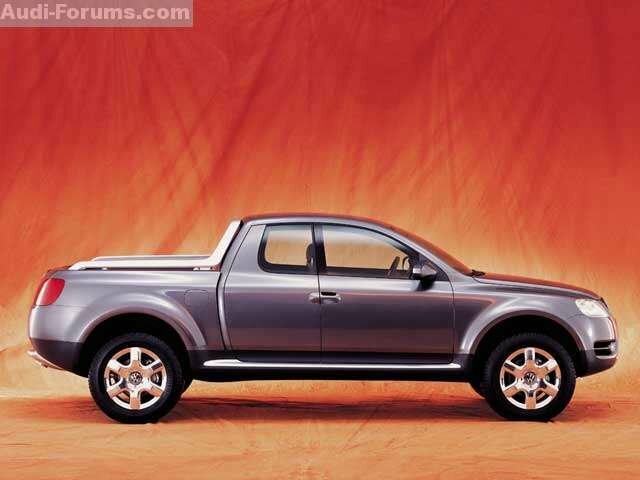 It combines the functions of a pick-up with the luxury of a top-class sedan. 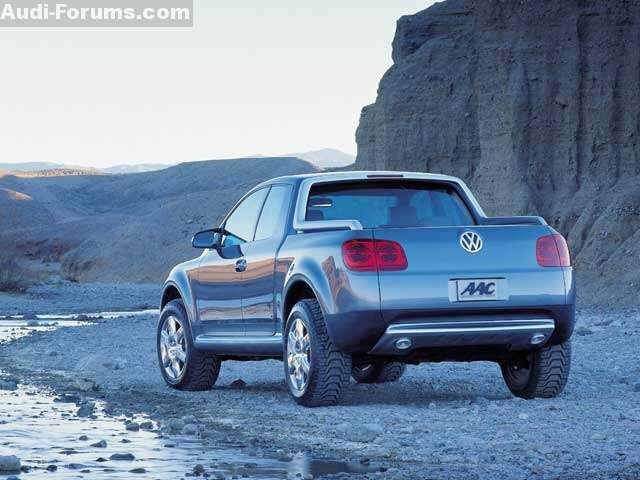 With four-wheel drive, and powered by a 230 kW (313 hp) V10 TDI diesel engine, this is an initial clue to the changes that could take place in this vehicle class within a very short time. The AAC design study is powered by a V10 direct-injection diesel with twin turbochargers and a balancer shaft. This high-tech unit develops 230 kW (313 hp) at 4000 rpm. One of its most remarkable features is the exceptionally high peak torque of 750 Newton-meters. 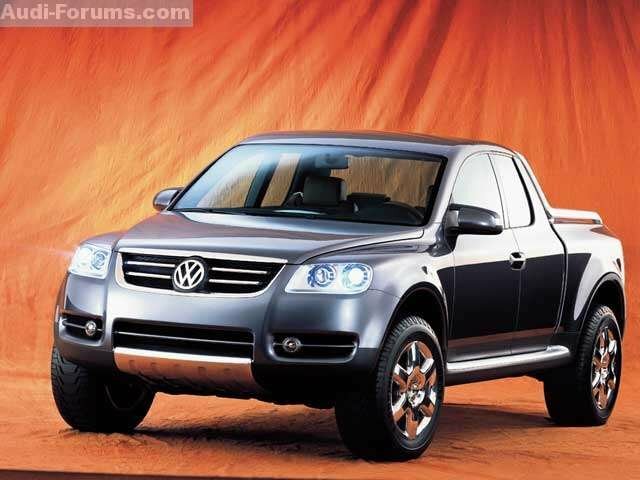 Fuel injection is by a pump-injector system developed jointly by Volkswagen and Bosch. A six-speed automatic transmission with Tiptronic manual shift mode transmits engine power to a permanent four-wheel drive system. When crossing difficult off-road terrain, an extra-low off-road ratio and two differential locks can be selected electronically by pressing the appropriate buttons, so that the AAC maintains its reliable progress in such conditions. These systems are accompanied by an electronic differential lock (EDS) at all four driven wheels. The electronic stability program (ESP) also helps to counteract difficult driving situations. The AAC concept car has independent suspension with double wishbones at all four wheels. Air suspension with three position settings provides optimum ride conditions both on and off the road. It remains at the center height setting during the standard driving program, but can be lowered by a significant amount when driving at high speed. On rough terrain, on the other hand, the suspension can be fully raised; ground clearance is then 390 millimeters (15.4 in). The difference between the lowest and highest air suspension positions is 110 millimeters (4.33 in). This study vehicle possesses luxury features which have so far only been seen on conventional large luxury sedans.